The 8 Best Hot Dog Joints in Arkansas! Hot dog, hot dog, hot diggity dog! 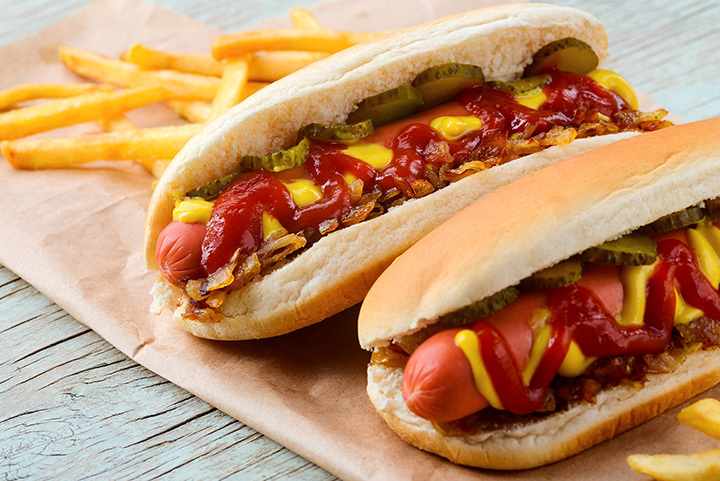 Arkansans are accustomed to some high-quality hot dogs. From all-beef gourmet, to even some vegetarian options, there’s a hot dog in Arkansas prepared to please just about everyone’s taste. Check out these eight hot dog joints that are, frankly, the very best in the state! Family owned and operated since 1999, the Original ScoopDog is one of the best hot dog and frozen custard spots in the North Little Rock area. Their large group of followers just can’t get enough of this joint’s frozen custard and hot dogs! ScoopDog’s flavorful custard is made fresh onsite and the Red Hot Chicago Dogs they serve are 100 percent beef. This hot dog joint is dishing out gourmet hot dogs and sausages from its upscale location in downtown Bentonville at the corner of 8th and Main Streets. Street Dogs is a family owned and operated mobile food trailer that specializes in gourmet hot dogs and sausages. You need to be on Dickson Street on a Thursday, Friday, or Saturday night to experience this hot dog hotspot. Yancey’s Dickson Street Dogs has been a local favorite since it opened in 2009. Help support small business and go see Yancey if you’re hungry! Boro Dogs (as in Jonesboro) is one of the best and only gourmet hot dog carts in the Northeast Arkansas area. Located on Main Street in downtown Jonesboro, Boro Dogs features everything from classic to specialty hot dogs. The award-winning Hot Rod Wieners is more than your average hot dog spot. This husband and wife team serves only the highest quality wieners on fresh-baked buns, keeping customers coming back. It’s no surprise that Hot Rod Wieners is one of the best food trucks in the Central Arkansas area. An outstanding selection of coneys, bratwurst, and sausage is what you’ll find on the menu at this popular hot dog joint. The Dawg Shack, on Rogers in Fort Smith is the place to go for that lunch hour hot dog fix. You haven’t had a hot dog if you haven’t had it the Wacky Wiener way. Wacky Wiener serves up their popular quarter-pound, all-beef gourmet dogs from their Central Avenue location in historic Hot Springs. It’s all about the cheese at this popular Fayetteville sandwich shop on N West Street. It may be all about the cheese at Hammontree’s but their customers can’t get enough of their hot dogs either. From their beer-soaked bratwurst and veggie dogs and vegan cheese, Hammontree’s is among the very best.